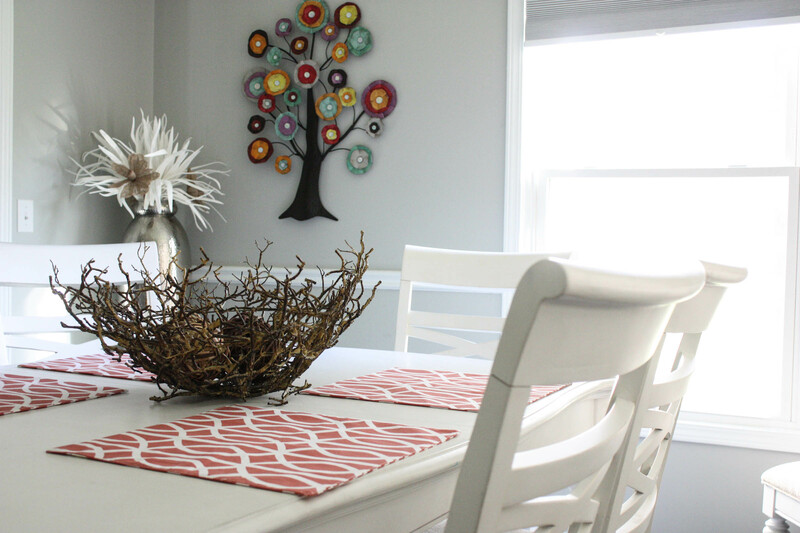 I’m so excited to share Brooke’s refabbed dining room with you all! Brooke is a friend and fellow blogger with so much talent. She has completely flipped her house and can decorate like a pro. She also has a knack for finding the neatest stuff at the strangest places and re-fabbing them into something amazing!! You’ve got to check her out!! Brooke is a Child of God, wife and mother of 2 of the most adorable and crazy kids! She loves all things thrifty, and there is nothing she loves more than to go “junkin’” and find her next prize! 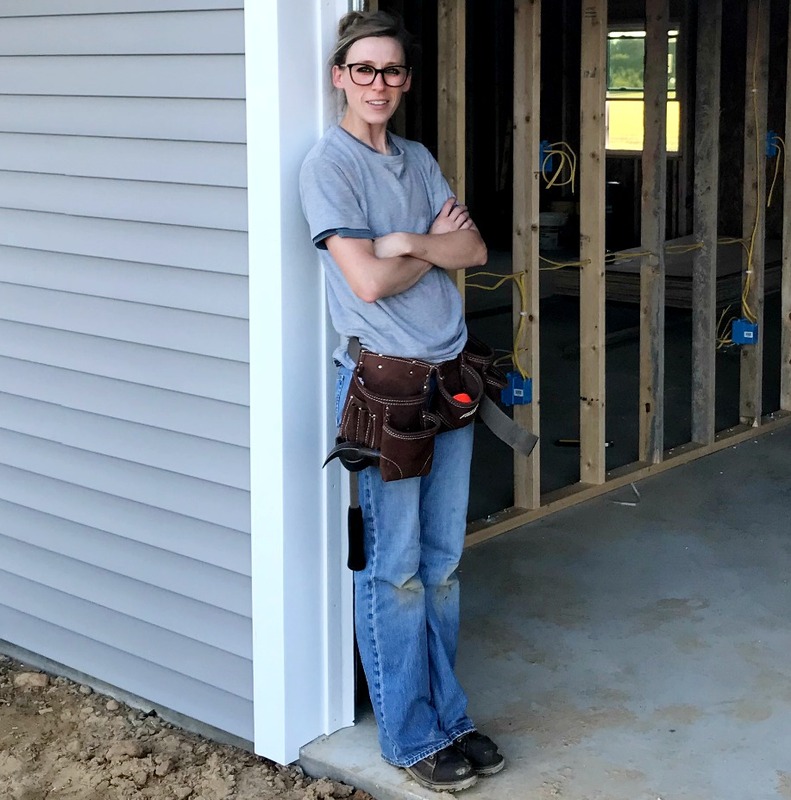 If she is not working her full time job at the electric co-op, you will find herdecorating, re-fabbing furniture or doing some sort of project around the house! Re-Fabbed is a site designed with the everyday wife, mother, college student, thrifty, money minded woman (or man) in mind! It is full of renovated rooms, decorating on a budget, DIY projects, re-fabbed furniture and more! Don’t forget to check out her Facebook page, too! Here was our dining room. Do not ask me what they were thinking with the orange/brown trim! Yuck!! Look how they spilled the hideous paint on the carpet and just left it! 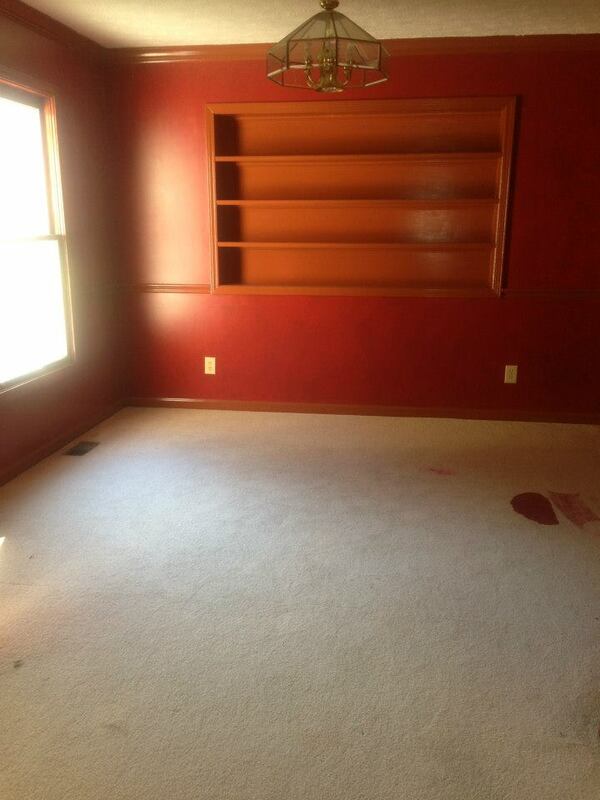 There is nothing about this room that even looks presentable in this state! This is what it looks like now, with some slight changes DAILY (mostly with the built in). I literally change up the shelves all the time. I have issues. We painted the main walls with a medium/light gray, and the wall behind the built in with a darker slate to give it an even more of a WOW factor. I love it. 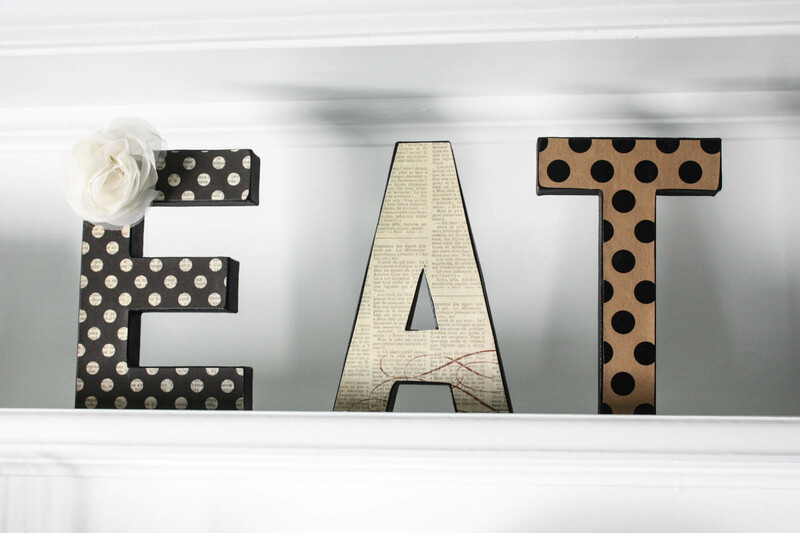 I love to decorate shelves. Actually, I love to constantly change shelves, as I mentioned a moment ago. I think what I enjoy most is just finding random things that I love and putting them together in a space to make them “work”. 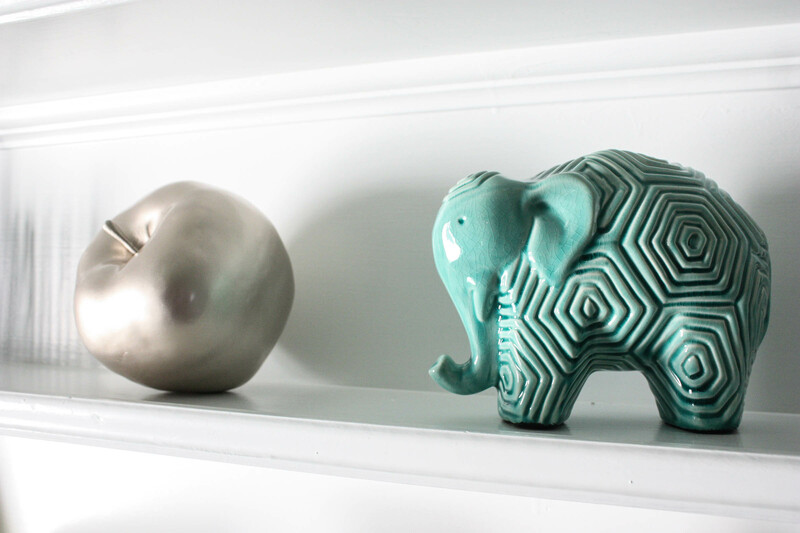 This aqua elephant is just too darn cute, and the pewter apple…well, I just liked it! Both came from TJ Maxx for $7.99 each. 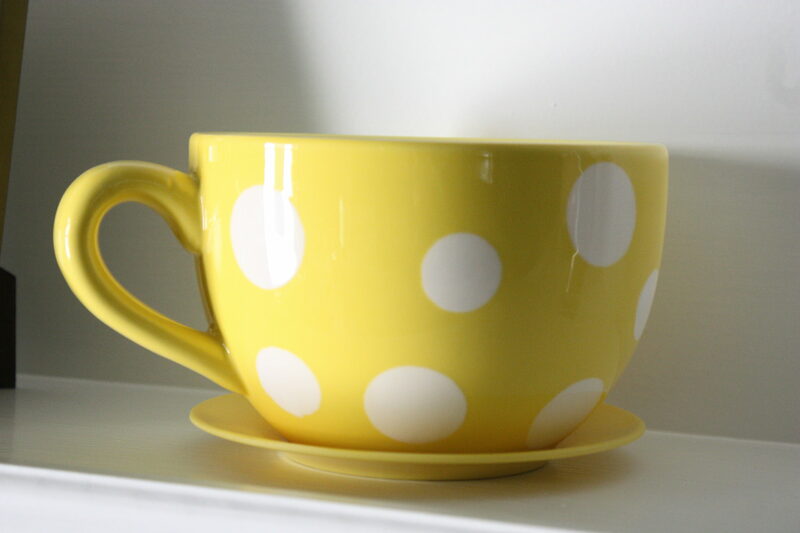 Just another cute addition to the built-ins was this over-sized coffee cup and platter. I found this at Cracker Barrel, and I loved the bright color and fun attitude it had! One thing I love in this space is the simple basket on the table (maybe basket isn’t the right word, but what would you call it?). It looks rustic, which is not really the look of this space, but I think it goes perfectly. One thing I love most about decorating is to me, there is no right or wrong. It is what YOU love…all pulled together! And what about that fun tree on the wall?? I think I may keep it forever. I just love all of those colors! 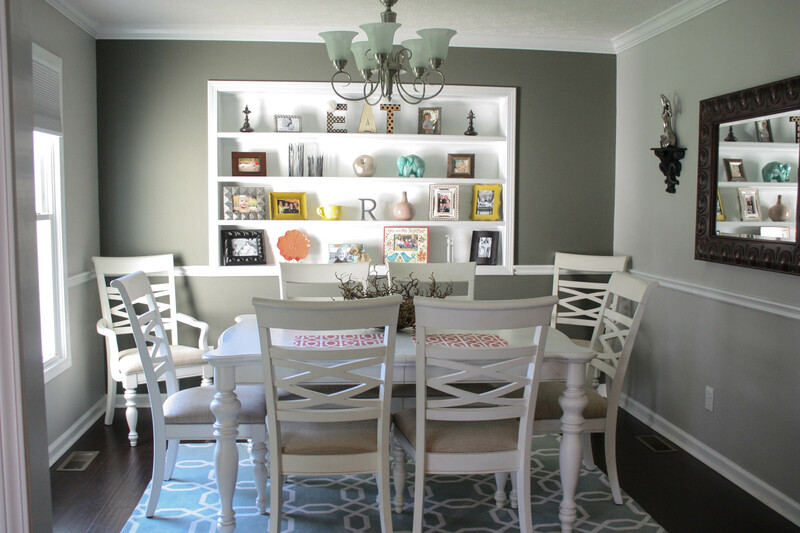 I can honestly say that I am very happy with the way this dining room turned out. It is a fun, cheerful space that we can make lots of memories in!